← Audiences love The Underpants! 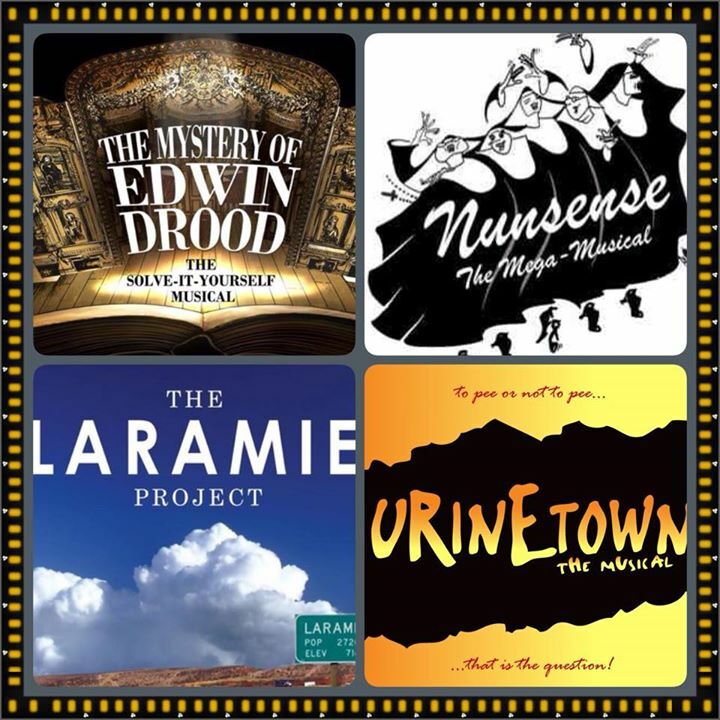 The Theatre Company of Saugus is seeking to engage the artistic staff for our upcoming season of shows in 2015-2016. We need a Director for each show, and a Musical Director and a Choreographer for each musical. Candidates should send a letter of interest indicating which shows you are interested in, along with a resume, to TCSaugus@gmail.com. The deadline is April 15, 2015. We will ask all candidates to answer a questionnaire, and to come to an interview during April-May 2015. The Mystery of Edwin Drood. The Tony-winning musical with multiple possible endings, by Rupert Holmes. 16, 17, 18, 23, 24, 25 October 2015. Nunsense: The Mega Musical. A remake of the original with additional songs, lines, and characters, by Dan Goggin. 11, 12, 13, 18, 19, 20 December 2015. The Laramie Project. A serious drama, by Moisés Kaufman and members of the Tectonic Theater Project. 26, 27. 28 February and 4, 5, 6 March 2016. Urinetown. A satiric comedy musical, with music by Mark Hollmann, lyrics by Hollmann and Greg Kotis, and book by Kotis. 13, 14, 15, 20, 21, 22 May 2016. In case we are unable to secure the rights, we have chosen alternate shows as a backup plan. The alternates for The Mystery of Edwin Drood are Batboy or Little Shop of Horrors; both are musical thrillers. The alternates for Nunsense: The Mega Musical are The Greatest Christmas Pageant Ever, a comedy play with adults and children, or return engagements of our popular musical revues A Very Christmas Christmas, or of A Storybook Christmas. The alternate for The Laramie Project is God of Carnage, another serious drama. The alternate for Urinetown is 25th Annual Putnam County Spelling Bee, a musical comedy.